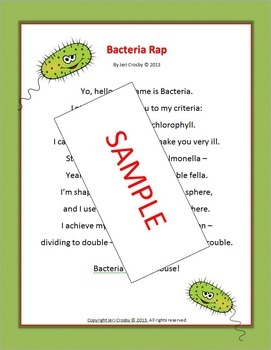 BACTERIA RAP - Concise, Clear Science Vocabulary & Concepts - Fun with Facts! Take the 'rap and remember' approach versus 'sit and forget!' 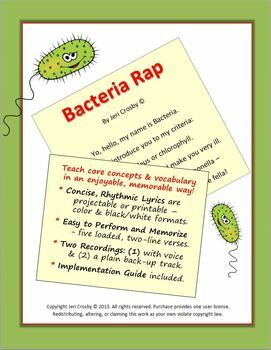 You and your students will enjoy this easy, concise rap, filled with core concepts and vocabulary. 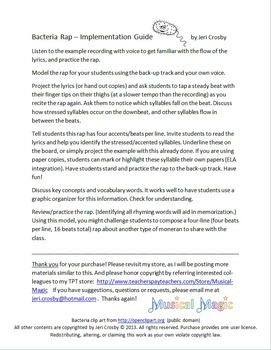 Tired of poorly written raps that students can't remember? That's why this music curriculum and integration specialist is writing raps! 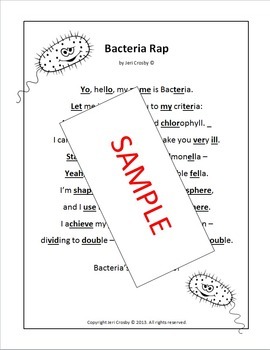 : ) This rap has been a hit with many teachers and students. Thanks for your support and interest. Please Q&A me with suggestions or questions. And pleeease remember to leave feedback.